Today, I want to ask YOU. What are some of your favorite inspirational, really-got-you-pumped-about-life, books? I'm embarking on a pretty exciting journey this year. (Back to school, moving to Germany, starting my career) I could use some real motivators for those inevitable bumps in the road. I'm looking to you for recommendations! If you've read these or if you have any others you just must share, please do! Just link up below. 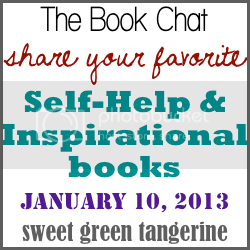 And as always, the button (above) is available to spread the word about the book chat. Just make sure you link back here somehow. Next week: Do you have any pet peeves in books that really drive you nuts? Those things that pop up over & over & really get on your nerves? Can't wait to hear it. I'm interested to see what suggestions people have. I've never really ventured into the self help/inspirational genre so I don't have anything to offer you lol. I have Daring Greatly on my list too. I never realized all the different catergories until I started making my list. I wonder what other will suggest. 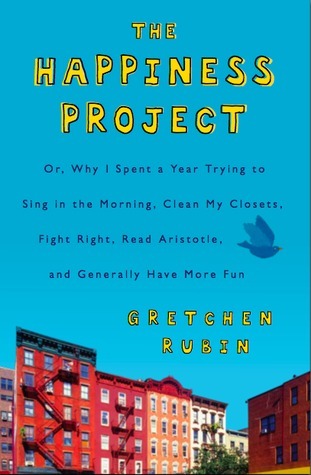 But I am adding The Happiness Project to my library list! I took the whole inspirational part pretty literally and mentioned a ton of fictional titles too, but I did go more into three of my current favorite self-help books. There are a few more I'd love to read- I need to check out everyone else's recommendations so I can read some new ones this year too! I don't ever read these types of books, so I'm really excited to see what books everyone else recommends! And I'm looking forward to next week's prompt; I'm really going to have to think about this. These look good! I sorta wanted to read The Happiness Project. I wrote about this a bit ago so I am adding it to the link up since I always find good non-fiction so encouraging! Excited to read everyone's posts. 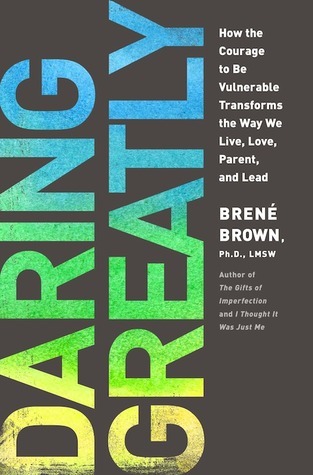 I've heard great things of Daring Greatly and my sister really like the Happyness Project, so I think you are off to a great start! Congratulations on all you have in store for this year! Going to pieces without falling apart: A Buddhist perspective on wholeness was very inspirational for me. It really helped me refocus and evaluate my priorities. A really good 'self help' book is 59 seconds. It basically busts all the silly self help myths out there and provides great tips using science.